The Railroad played an important part in American culture ever since it was introduced long before the steam engine. It may come as a surprise to some that railroads existed long before the Iron Horse was introduced. Of course the width of the rail was based on the width of the Roman Chariot (normal gauge) and the first ‘coaches’ were altered stage coach bodies. Many of the old terms like Iron Horse were replacements for the original source of power, the Horse. Horsepower and all of that, although there is a difference between ‘Locomotive’ and ‘Braking’ Horsepower, but I won’t get into that. The first steam powered locomotive built in America was the ‘Tom Thumb’, a diminutive engine built by Peter Cooper, yes that Peter Cooper! Workers on the railroad said that the engines couldn’t make the sharp turns on the logging rails. The first engines were not articulated, but this one was small enough to manage the tight curves. Initially fueled by cord-wood, rails on wooden ties, wooden bodied railroad cars, bridges, trestles, lumbering and woodworking played a significant role in Western Expansion brought on by the technological advancements of the early nineteenth century. Wood made the locks, the canal boats are constructed of wood as were the steamboats, all relied on wood. But then there was the early Canal trade brought on by this countries interest in getting low friction methods of transportation. Flat boats could float down river and flat canals could be traversed in both directions. Up river traffic is another story. The canals in early times were built on relative flat terrain to reduce the number of locks to adjust to different water levels. Canals in the East were different that those made out here in the Wild West. Out here our canals were mainly used for irrigation. Brigham Young introduced irrigation to the West and it was one of his greatest contributions, among others. These canals were also used to float large blocks of Granite to build the Mormon Temple, and ox carts and later a narrow gauge railroad that went to a regular railroad line, that delivered almost all of the granite blocks to Temple Square. St. Louis or San Francisco to Great Salt Lake City in the 1850’s was $250.00 a ton or one bit or 12 and a half cents a pound for freight. The price went down after the Railroad finished up. But with the introduction of the steam engine for water borne transportation greatly reduced the voyage from Europe to America. The side wheel, stern wheel and newly introduced turn screw cut down travel time. Instead of weeks at sea the voyage was cut to days. One of the problems with steam boats is that they incorporated high pressure boilers, highly inefficient but very high power. At these high temperatures, high pressure and proximity to water, of all of the 800 odd steamboats that plied the rivers of North America in the nineteenth century, all of them blow up, burned or sank. A bit latter technology was to equip the tenders with a scoop on the underside. Certain ‘watering stops’ were replaced with a long metal lined trough set up between the rails. As the train approached it lowered the scoop and the forward momentum caused the tender to fill with water. At the end of the trough the scoop was closed and the train didn’t need to stop for water hence the term ‘jerk-water town’. On May 10, 1869 the Central Pacific Railroad and the Union Pacific Railroad met at Promontory Point in Utah to complete the Transcontinental Railroad. (The Transcontinental Telegraph was completed in October of 1861 in Utah and The Transcontinental Telephone was hooked up on the Utah and Nevada Border in 1914). And I think we were one of the first hookups to the Internet. All these advancements in transportation brought shipping costs down dramatically in the areas they served. This contributed to the expansion of the country and its economic and social development. Lower costs of imported goods left more ‘cash’ to stay within the communities. This is an interesting artifact I picked up at a local swap meet. I think I paid $25.00, they were asking more but I would pay their asking price. When I first saw it it was behind some stuff and I thought it was shorter. Finding a shipping container this old was quite fortunate as most of them were used up and eventually burned. It is made of Chestnut cut in thin sheets and banded and clinch nailed together. The bands have thin sheet iron on the ends. It is about 30″ tall. 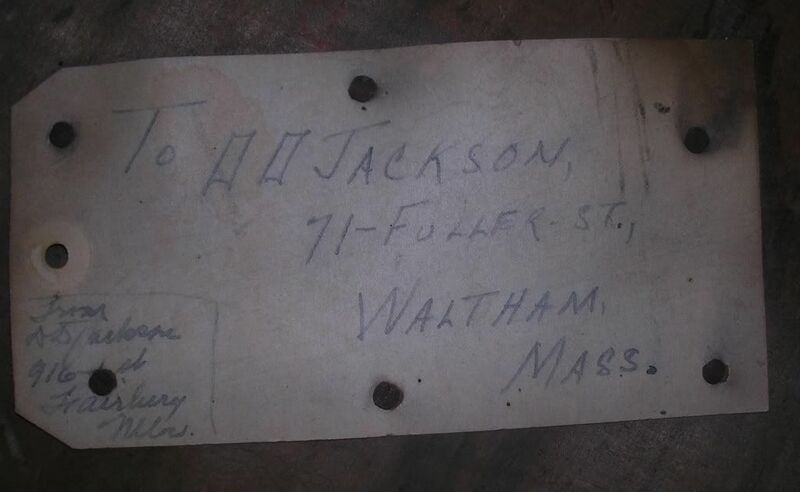 There is writing on the bottom in packing box script, done with paint and brush, showing the initials and destination. 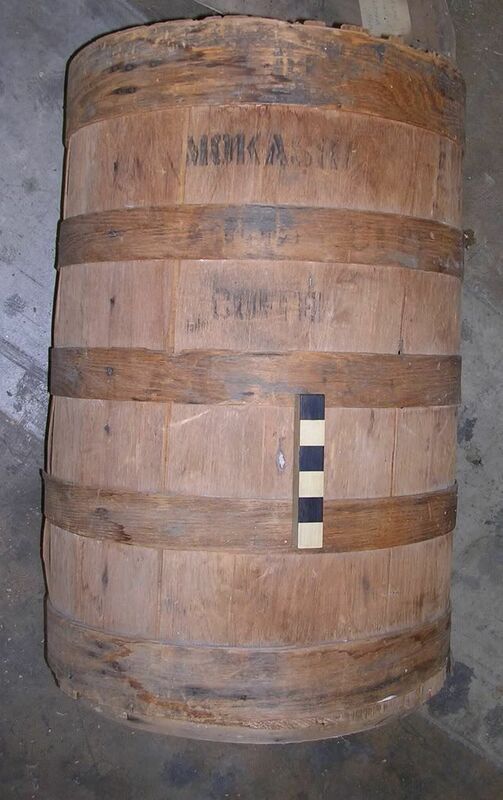 The barrel is about 18″ in diameter. Here is a close-up of the product label. There is a stencil on the barrel band ‘__________ CITY’? This is the top of the barrel, tongue and groove with a batten on the back, all nailed with square cut nails and sprigs. 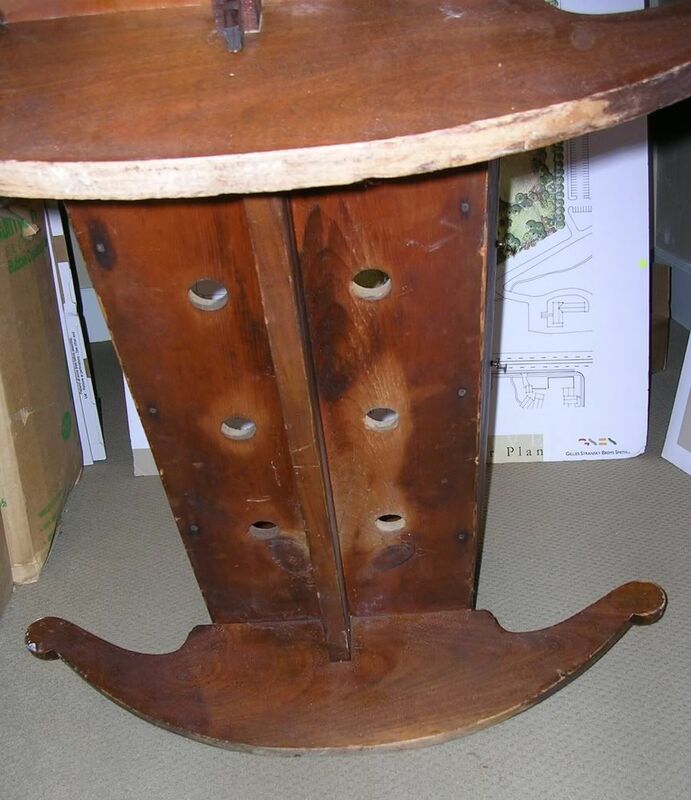 There are power planer marks on this piece so it is mid nineteenth century. 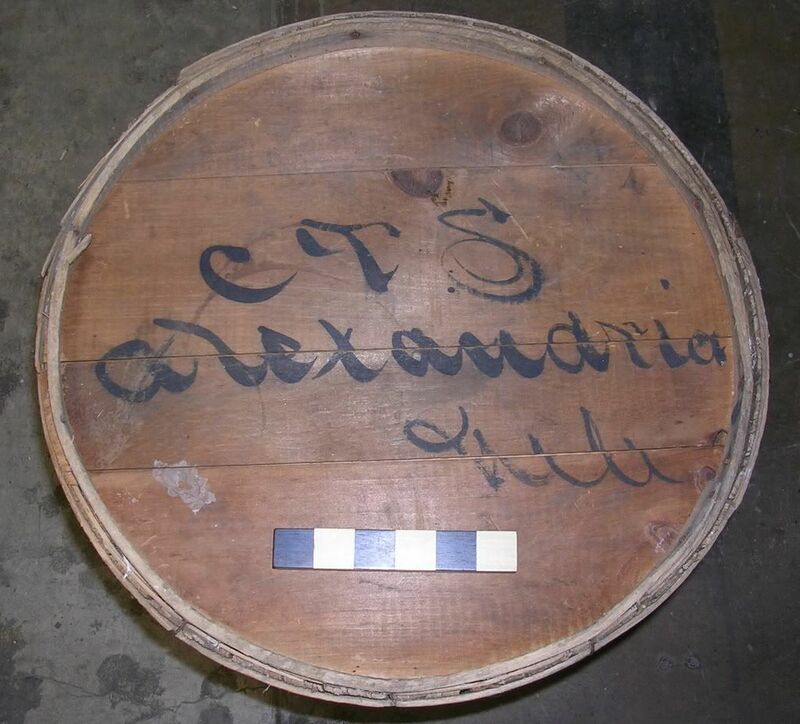 This is an additional label on top of the barrel. I wonder if Mr. Jackson is missing some coffee? This is an interesting piece, there is a bit of damage to the bottom which should be easy to repair and the head needs some attention, but all in all a very interesting bit of period packing material that didn’t get thrown away or burned. 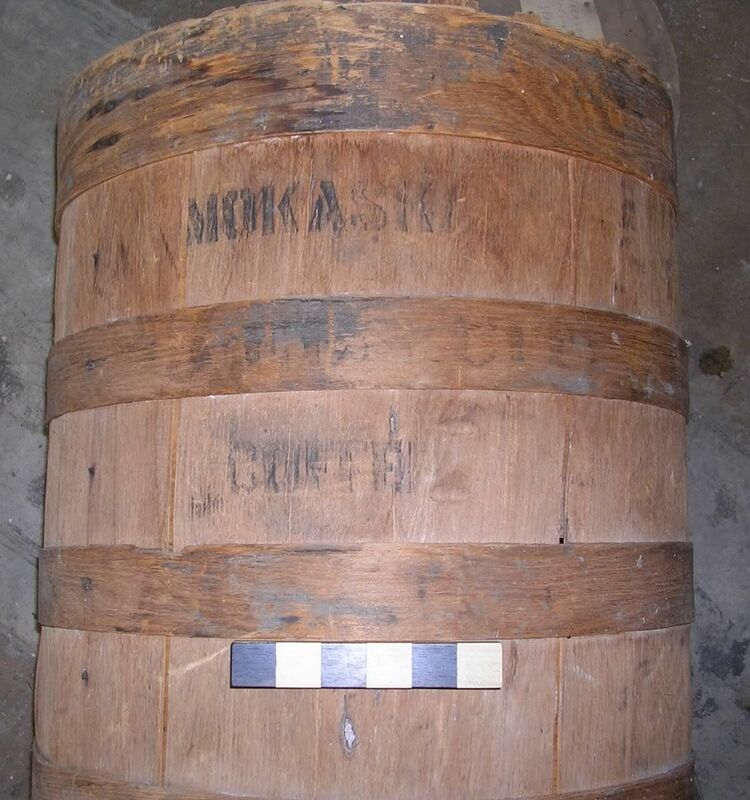 So this barrel contains: 4.4 Cubic Feet, or about 3 and a half bushels. (I had help with the math, thanks Mr. P.) I think modern coffee bean bags are between 150 to 180 pounds each. 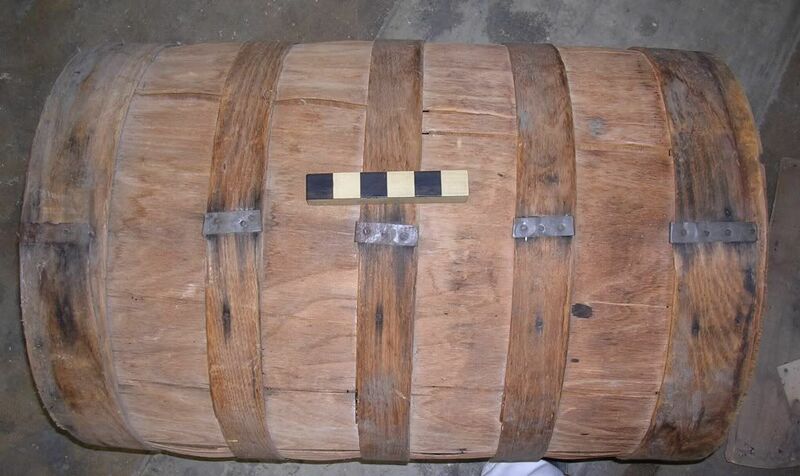 Of course this barrel would have contained green beans (they are actually berries) as they store and transport better than roasted coffee. Also green beans are smaller than roasted beans so they would take up less space. at the swap meet this morning, I purchased this for $2.00 from that hot nice lady that I think I have mentioned before. Well I couldn’t beat her up on the price, because when I picked it up she asked me what it was? It is lined with purple fuzz (fake velvet stuff) and has some nice natural lines. This was sitting in the bottom of a cardboard box and I knew immediately what it was. After some conversation with the nice lady, I told her that this was fairly common practice to make castings of organic objects and mentioned that I had seen insects and other natural objects cast into silver. I have a Sequoia cone cast in silver, little thing smaller than a hickory nut. She got all concerned about the bugs being cast in plaster, then burned out and replaced with precious metal. At that point I had to leave. I hope it is not a Mead’s Milk Weed Seed Pod! It weighs about three quarters of an ounce, so it can be scrapped as junk silver for a profit. But it is more valuable as a curiosity. Well, this move has been a real eye-opener. I did not realize just how much stuff I had accumulated. Now a lot of this stuff is interesting, but not really necessary in a shop. I also realized that I have just too many tools. Now that is something you probably won’t hear from another woodworker. Here is what it looked like after two truck loads. There is still one more partial load, a large secretary, a couple of chairs and some miscellaneous stuff. I spent a day starting to arrange and unpack all of my carefully packed crap fine tools. Here is what it looked like after spending a half a day organizing, unpacking and taking inventory of my tools and other things. If you will notice on the corner of my tool cabinet is a tool holder full of twist auger bits. These are some of the 50 odd extra drill bits, all are double twist (Jennings pattern), cleaned and sharpened. I have reduced my collection to what I actually use, one complete set from 3/16″ to 1″, with a couple of doubles on some that I use a lot. 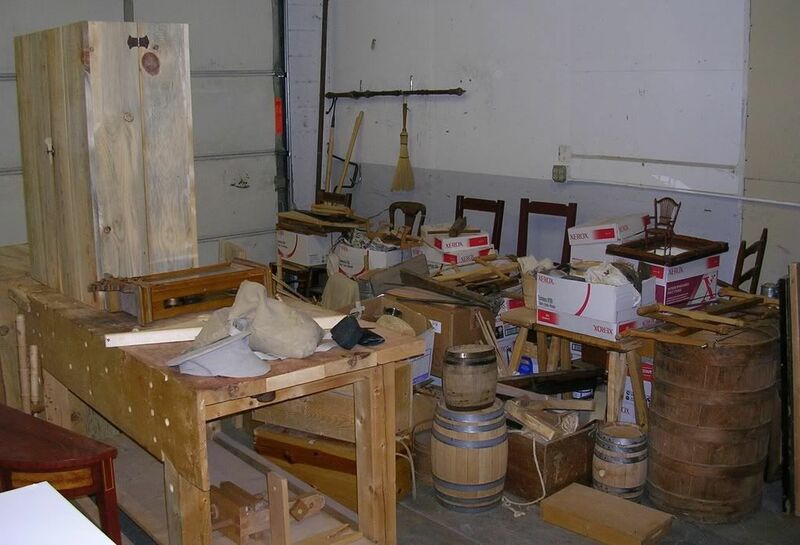 And while it looks like a nasty mess right now, I will continue to unpack and set up a traditional shop, loosely based on historic probate records from the mid nineteenth century, nothing more. I am reducing my collection to the minimum. So what has come over me? Not sure, but I think having all of this stuff can be a distraction from getting work done, too many interesting things to get me off on a tangent. I also don’t really need five 3/4″ twist bits, nor 4 dovetail saws, nor 6 rip saws, nor 8 crosscut saws. Heresy? Sacrilege? No just a lot of nice tools that should be out on the market for people to actually use, instead of collecting dust in my collection. So as soon as I have everything separated and my kit of tools together I will be offering my extra tools for sale. 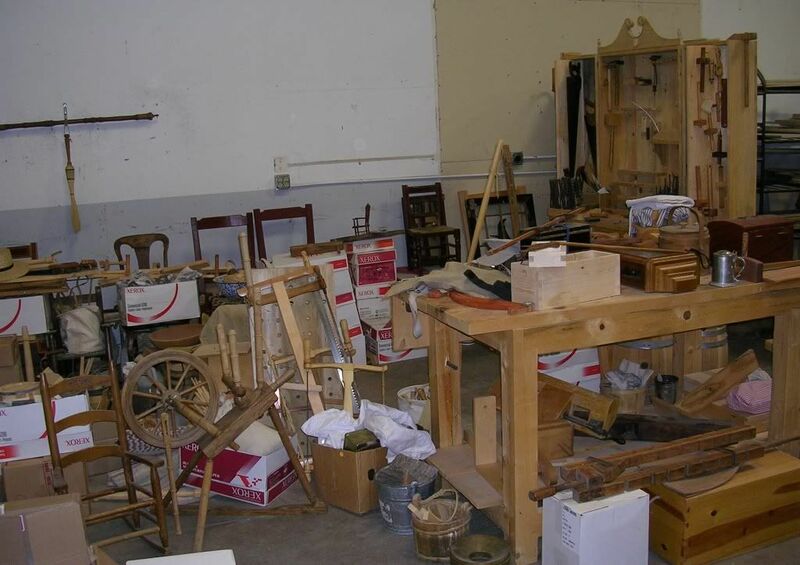 I will set up an on-line Gallery and offer the tools for sale individually, properly labeled as to their maker (if known), size and their condition. I also plan on offering for sale some of the other old stuff I have collected. 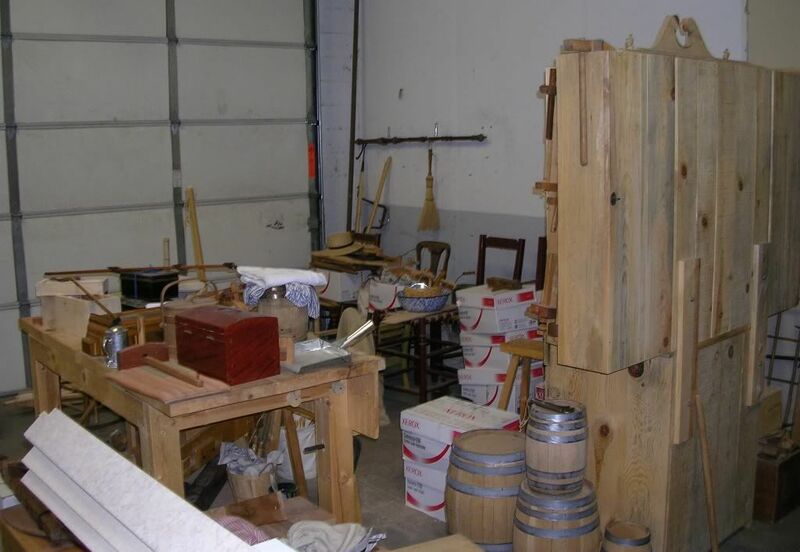 I will also have a separate section of wooden objects (furniture, kitchen utensils, tools, &c) that I have made. After a recent post over on WoodCentral, I thought I would talk of my one and only opportunity to use a pit saw. Back in the 1970’s Frog Tool Company in Chicago sold pit saws. They were 6 feet long, I think and had one tooth per inch. It had a decent tiller, it was an open pit saw (as opposed to a Frame Pit Saw, one contained in a sash frame, usually a thinner blade), but the pit handle (box) was a cheap welded strap iron thing that we found out didn’t work. A good friend wanted to saw up some lumber from a green pine log for a cabin he was building. Now this was built in the city, so there was no real reason for using the pit saw, other than an exercise in history. So I thought this would be a good opportunity to get some experience. The pit saw came in a wooden crate, wrapped in paper and the grease was removed with turpentine, the tiller and pit handle assembled. The log was readied on the ‘trestle’ that was hastily erected to support the log. It was done over a depression in his property, so it wasn’t that high. With skid poles and ropes, the log was easily moved from ground level to the top of the trestle. Prior to moving the log up we used spuds and a spade to remove the bark. This saves the saw but makes the log slippery to handle and walk on. First he snapped a number of parallel chalk lines along the bottom of the log, turned it over, took a plumb, then snapped corresponding lines on the top. I don’t know if you need both, I didn’t look up much from the pit. 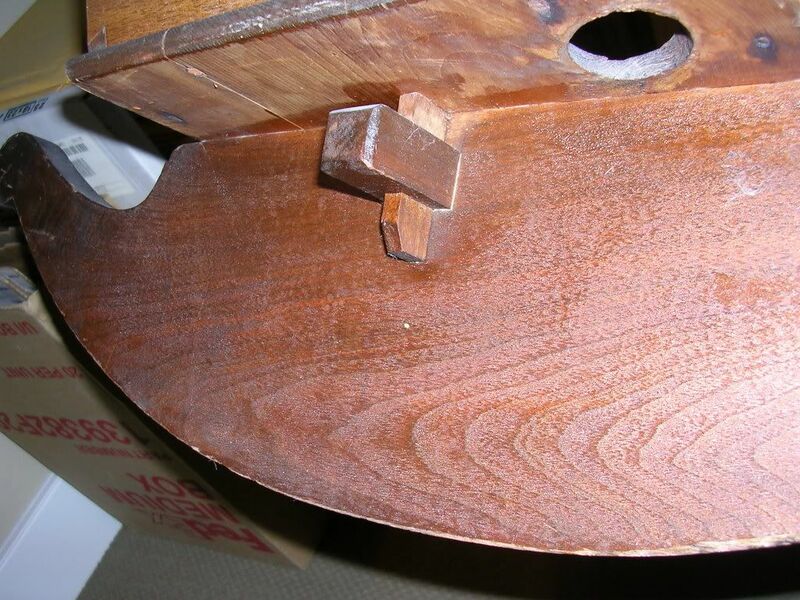 The important part was the plumb line and once the saw kerf was established straight, the saw tracked well. Secured with log dogs (my friend was also a blacksmith) the log was ready to be rent asunder. Then the pit handle repeatedly failed to hold on to the blade, the metal distorted and the handle would not work. A couple of hours later a new wooden handle (called a box) had been turned, then some more time with the kerf and slot for the wedge and everything was ready to go. The new handle held tight and the daylight was fading. He hosed down the log and covered it with a tarp. Early the next day all was ready. I being an assistant took to the pit and attached the handle. Seeing the old pictures, I had on a broad brimmed hat, long sleeves and had my shirt buttoned all the way up. I soon learned to keep my mouth shut while in the pit. It wasn’t as bad as I had imagined, a lot of saw dust would fall but most of it was well in front of me. The problem was the multiple cuts and saw dust would continually fall as the log was being cut up. The morning was good, but a wind picked up about noon and the sawdust was miserable. One thing about the sawdust from green wood is that there is no static electricity so the dust does not cling, like it would if the wood was dry. I don’t know if I can imagine how it would have felt in the pit in the Midwest with the temperature and humidity in the 90’s. My friend had thought about this a lot before we started and had thought out the entire process. He had dogged the log down with a few feet projecting over the end of the trestle. We then started the 8 cuts that we were making, resulting in 9 planks. The two slabs on the side were used for puncheon benches. We began the cut and when we reached the cross piece of the trestle, we backed out and made the next cut. We continued until all cuts were at the trestle, then the log was undogged, repositioned and dogged down again. With the kerfs enclosed it was necessary to remove the box and insert the blade into the kerf on each of the cuts. We worked down several feet, then changed kerf until everything advanced to the same point. I did get to spend some time at the tiller. I didn’t like it as the log was not that easy to stand on and I had to lift the saw up for each cut, a whole new set of muscles to get sore. It was not difficult at all to keep the lines straight, the only problem was pitch and pinch. The first dispatched with turpentine and the second with wedges. I was happy to be back in the pit, well under the trestle as all I had to do was pull the saw down and I had the help of gravity. I am not sure how much different a framed pit saw would be, the much thinner blade has far less weight and the wooden frame probably makes things about equal. I just know that lifting that saw was more work than pulling it down. With the coarse teeth and large hooked gullets the work went fast after we had developed the sawing rhythm, and there definitely has to be some unison between the sawyers or you work each other to death. It is important at the end of the stroke to let off pressure but keep the tip from whipping. Then the timing to start the cut after the tiller-man has pulled it up, no need to burden them by starting the stroke too early. I had the same experience on the other end of a bow saw, the initial cutting was rough until the rhythm and cadence was developed. You develop a saw stroke memory and pull the saw down that much each time. On top, the saw is pulled up as much as possible to get the maximum number of teeth involved in each cut. The only other time the log needed to be moved was for the last couple of feet that were on the trestle. Once it was repositioned with the still uncut end hanging over the trestle cross piece my friend attending the tiller made a few cuts and was standing on the end of the log. He paused and said that the log was longer than necessary, so the end could be just cross cut off freeing the planks. Here is when the young upstart apprentice opened his mouth, spitting a few wood chips. I asked him why he couldn’t reverse the tiller handle on the top, to crank the other way and stand on the back side of the saw to finish out the cuts? He looked at me, then looked at the tiller handle. He popped out the fastener (but I think it had a square iron bolt with an iron wedge to secure it, like a tusk tenon), reversed the handle and stepped behind the saw. It was awkward at first for him, my job was the same. The finishing cuts were a bit more vertical and the kerf split off the last inch or so. The first time this happened my friend nearly fell off the trestle as it startled him. He cut one more plank off with a bit more finesse. The remaining kerfs were left a few inches from the end. Removing any more planks completely left nothing to stand on. We finished in the evening and after cleaning the saw I left and don’t know how he separated the planks, next time I was back there they were stacked to dry. Speaking of that walking around on the top of a log that has been almost cut into boards, the kerfs in the log hold and release sawdust. Pounding wedges into pinching kerfs also release the dust, still a good idea to keep your mouth shut. But the worst was the dust in my eyes, even with glasses, the hat did help. The pit saw continued even after sawmills were common and were used mainly by shipwrights to cut large knees for stem and stern posts and other large parts. They were also common in underdeveloped countries. In frontier conditions the pit saw provided the initial building material until sawmills could be instructed. In July of 1847 the Mormon Pioneers entered the valley of the Great Salt Lake under the leadership of Brigham Young, himself a carpenter, painter and glazier. 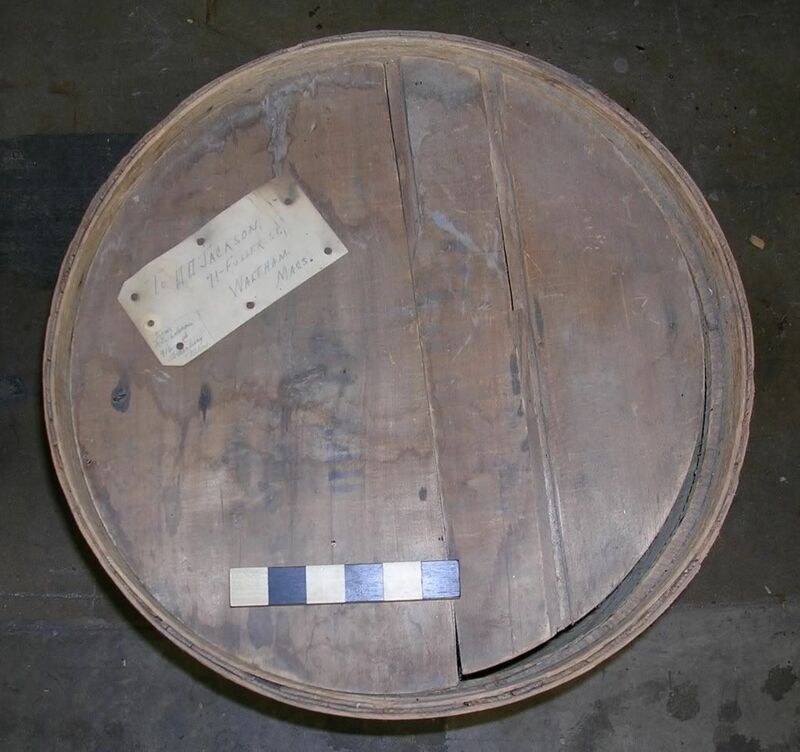 The first wooden object built in the valley was made from a log from City Creek Canyon and it was rendered into planks with a pit saw and the boards used to construct a skiff to explore the Jordon River that flows through the valley and empties into the Great Salt Lake. If one were to do this on a regular basis, digging a pit to work in, greatly reduces the log handling as they can just be rolled over the pit and dogged down. Working on a trestle does require more work in log handling and positioning and its openness helps with ventilation. In either case a peavey, cant hook, log tongs and pikes help in moving the heavy logs around. Block and tackle or at least a couple of ropes to assist for trestle work are necessary. Everyone should take their turn at a pit saw at least once in their life. Just make sure the logs you are going to saw are green, I would imagine pit sawing dry wood would not be pleasant. To say that they have cut out a board from a log by hand gives a real connection to the past and a real appreciation for saw mills. 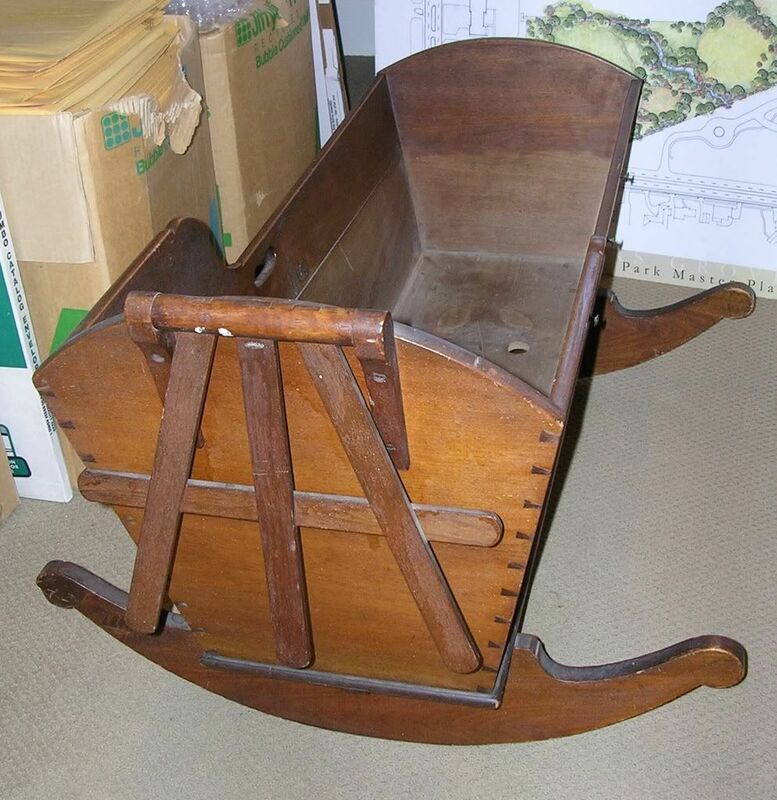 This is an interesting cradle that I had the opportunity to examine and photograph. It is made of Walnut with a Pine bottom. Judging from the hardware I think it was made before 1840. The folding netting trellis is an indication that this piece might have been made in the South. And I don’t know what to make of the splotchy shellac job in that it looks like it might have been added later. 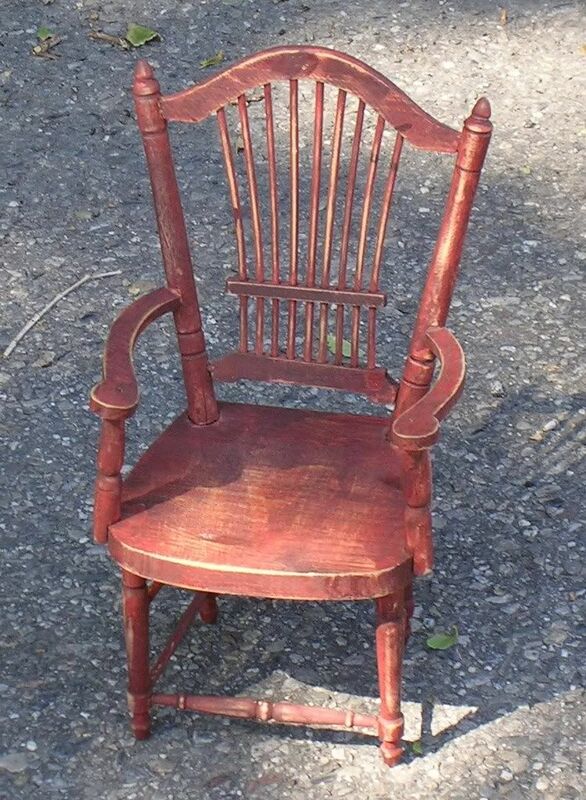 It doesn’t look like it was ever refinished. The netting trellis is nicely made and folds back out of the way on a wooden hinge. A few of the dovetails have kerfs that go beyond the base line. More on the inside than the outside. 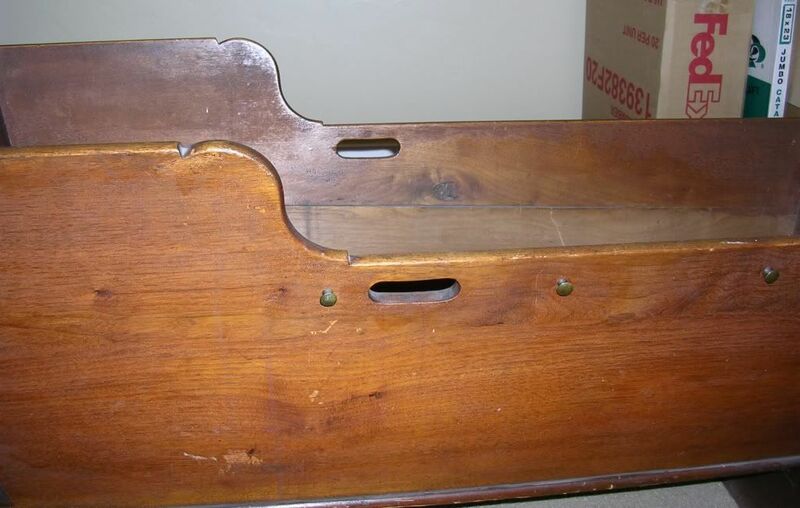 The brass knobs on the side of this cabinet were used for cordage to tie the child into the cradle. This and the netting trellis make this type of cradle not pass modern safety standards. Modern safety standards do not allow for any projections that can catch clothing if the child falls from the cradle. Intentional drainage/ventilation holes plus one extra loose knot in the pine bottom. Note that there isn’t any finish on the inside bottom. This piece may have never had a finish? 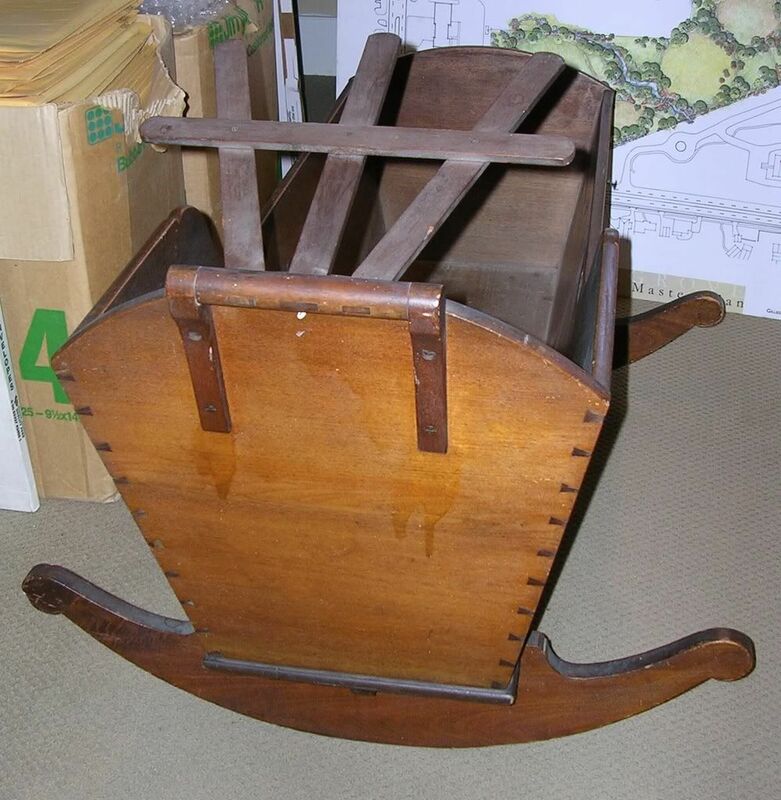 The underside of the cradle clearly shows that it was used. The nails are square cut iron securing the bottom to the sides. The rockers are held to the cradle with Screws. The tusk tenon on the end of the stretcher that secures and squares the rockers is held with a captive wedge. The rockers are attached to the bottom after they are secured with wedges. And of course if the rockers are made of walnut it will not creep or walk as it is being rocked. I host a live chat every Tuesday evening on WoodCentral on the Hand Tool Forum. It starts at 9:30 o’clock PM Eastern Time. The chat runs for at least one hour, sometimes longer and is a collection of interesting people interested in Hand Tools. So If you are not busy tonight or any other Tuesday night, join us for a fun time. The economic conditions in the world at the beginning of the nineteenth century had different effects on different countries. In England the focus was to find a substitute for wood as they ran out, the focus in America was what to do with all the wood. Wood was only second to Cotton as the most valuable American export. Europe had a lot of cheap labor and America didn’t but made up for it with inexpensive resources such as wood, which was expensive in Europe as the original growth was being used up or was already gone. It is interesting that in 1840 there were over 30,000 sawmills in America, and every census since then show a decline in the number of sawmills with a continuing increase in wood prices. Apparently the Dutch in Manhattan built a sawmill in the 1630’s a full 30 years before one was built in England. This I find interesting. The Wholesale Lumber Index (normalized index) during the nineteenth century increased from 24 in 1800 to 53 in 1857. (Based on 1910-14 original price index =100) The Lumber index today (9-22-08) is 216. The per capita consumption of lumber in America went from 58 in 1800 to 259 in 1857. England consumption went from 10 in 1800 to 79 in 1857. Europe talked of the wasteful lumbering practices in America as criminal. An English gunsmith imported the newly invented Blanchard Lathe from America to use in his shop. After trying it one time, it was abandon as being too wasteful. It was cheaper to pay a man to shape it by hand rather than purchase the wood it took to ‘turn’ out a gun-stock. Also during the early nineteenth century, the price of iron began to decline, that also includes the price of steel declining at the same rate (steel was 5 times the price of iron). The ability to begin to manufacture it in larger more consistent quality and and larger quantities. Iron was basic wrought iron, with its grain and slag inclusions and steel started to become available in more grades; Cast Steel, Blister Steel, German Steel, Shear Steel and other types. And in America innovations in toolmaking, both metallurgy and woodworking saw the introduction of nail making machines. Prior to that time (around 1795) hand wrought iron nails were $0.25 a pound and dropped to below a half dime (Nickle introduced in 1866) by the 1840’s. This together with sawn lumber lead to the building of balloon frame houses, quickly replacing the mortise and tenon, post and beam constructed buildings that had dominated. These could be build by less skilled craftsman than the laborious and heavy timber frame construction. About the middle of the nineteenth century it was realized that a great deal of wood was becoming sawdust. And there was an effort to make finer saw blades. With the advent of the band saw a much thinner saw kerf allowed for less waste. It is estimated that prior to the introduction of thinner blades for every one inch of wood (allowing for removal of rough saw marks) 5/8″ ended up as lumber and 3/8″ as sawdust. but I am not. I went to the local swap meet/flea market this morning and picked up a nice collapsing drinking cup, now I have 4. I got this from a fellow that I have got a few things from the past, when his son is there I just walk past as his prices are more than his father. Well the father was there and I did talk him down to $4.00 from five, he seldom lowers his prices, this was unusual. However the real find was this chair. Now it is not in my period of interest but I couldn’t pass it up. Now the young lady (young relative to my age, yet legal) I bought this from is quite attractive. I have bought from her in the past, she has some nice stuff on occasion, besides she is nice to look at. Well she had this chair marked $3.00 and I beat her up (nothing physical) and got it for $2.00. So while I should feel bad about that dollar, I feel better that it stayed in my pocket. Now I just need to make room for this chair. 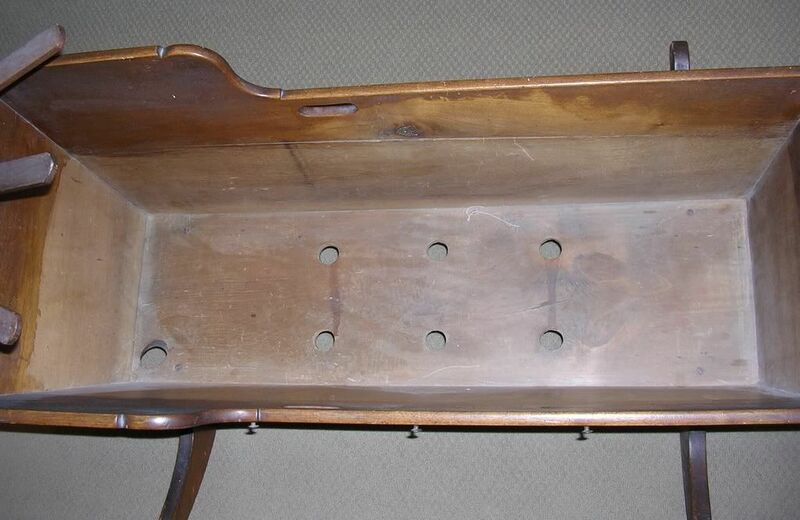 There were also comments about people not using nails or screws in furniture back then. One of my favorite stories didn’t take place in my shop but in the Blacksmiths shop. A woman asked what a particular tool was, the blacksmith was working so didn’t see what she pointed to, so he asked her which tool she had enquired about was and she said the one that looks like an anvil. With tongue well bitten he said ‘an anvil’. I am constantly surprised at peoples response when they find out that their ancestors were not knuckle draggers. The Dark Ages apparently lasted longer for some folks. The nineteenth century was after all the time of the Industrial Revolution (brought about by the potato, but that is another topic) and woodworking machinery starts to make its general appearance. Prior to the nineteenth century the common power source for tools were human first, then water and wind (wind to a lesser extent) power. Animals were also used to power woodworking shops, saw mills and mills and shops for other trades. Then as the nineteenth century begins the introduction of the steam engine. With this there were no longer seasonal problems of a water source freezing in the winter, flooding in the spring, the steam engine works well in cold weather and were available. And smaller woodworking shops did not require the high pressure steam engines (like on steamboats), so they were much safer. The nineteenth century saw the introduction or substantial refinements in woodworking tools especially machinery. The circular saw invented in both England in the 18th century and America in the early nineteenth century, were first used for veneers and the size of logs they could cut were small. The larger blades would heat up, wobble and it was difficult to make a straight cut. Initially they were used to trim the edge of boards that had been cut in an up down saw mill. This was the most common type of mill, later the Muley saw was introduced and started to replace the slower sash mills. The muley was a much stouter blade that didn’t require the surrounding sash, so it worked with less resistance and much faster. The kerf was quite wide, but that was of no concern during this time period. In the 1860’s it was reported that English saw blades were half the thickness of American saw blades. And while the band saw was invented by Newberry in 1808 in England and again in America a bit latter, but it wasn’t until after the American Civil War that the technology existed to produce band saw blades that would (not) easily break. Other advancements in tool and metal technology lead to other improvements and innovations in sawing machinery. The second area where much attention was focused was that of planing the lumber. 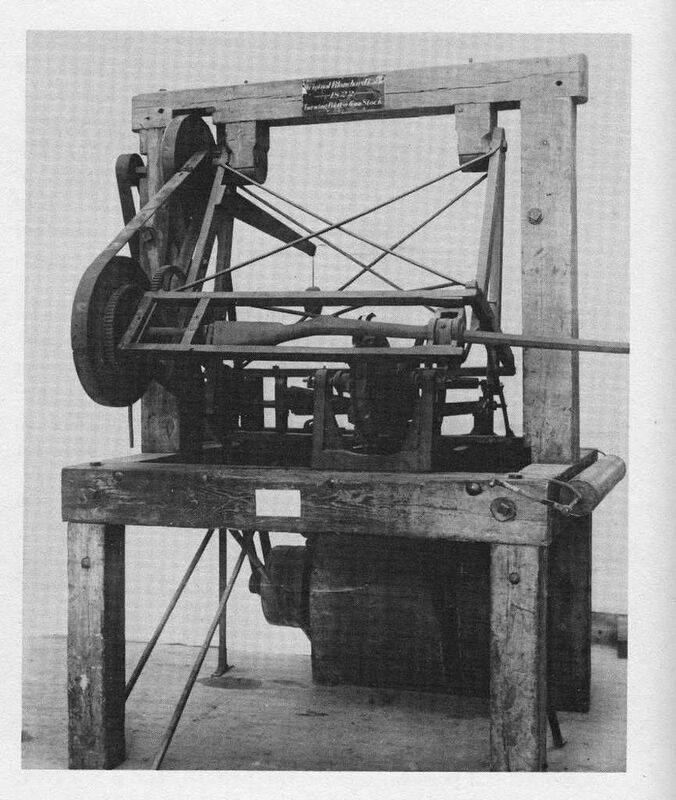 In the early nineteenth century there were a number of patents issued to planing machines; carriage planers, parallel planers, etc., then in 1828 William Woodworth patented and then for the next nearly 30 years vigorously defended his patent for a planer with roller feed and cylindrical knives. Because of his extensive patent his idea was almost impossible to get around and he did quite well. The Danial Planer was a lateral planer with a carriage and was meant to surface large timbers, e.g. 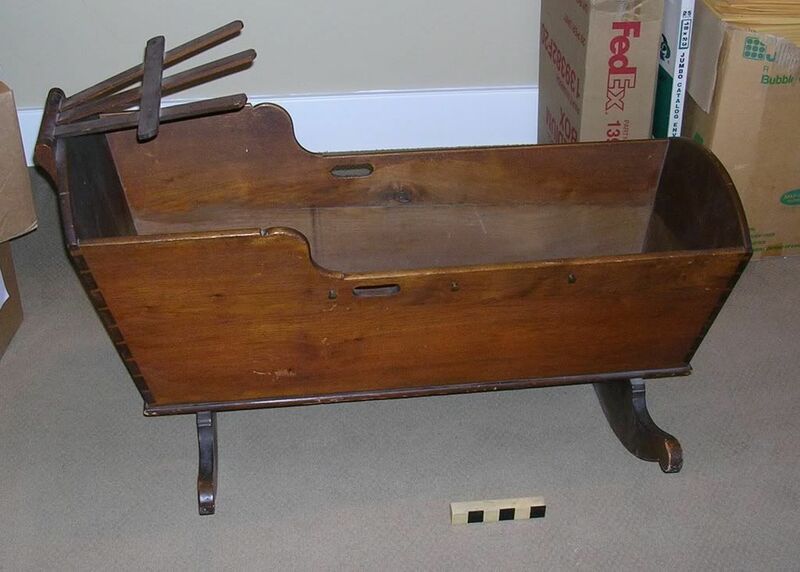 railroad ties, mill parts, wagon parts, &c.
Other areas where the technology met the demand were making mortises. 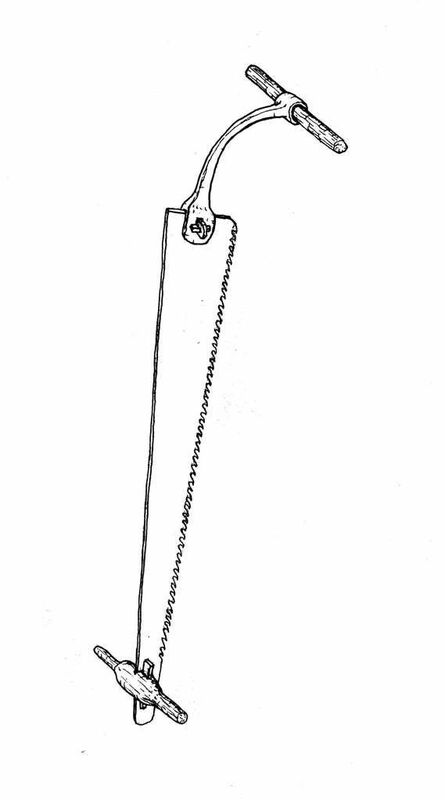 The reciprocating mortise machine was an early one, based on the foot powered mortise machine, then the hollow chisel later on. Then there is one very unique part of woodworking. Now perhaps it is because I have a fondness for turning or perhaps turning was a widely practiced trade. The turning lathe was delineated in Charles Plummier’s L’art de Tournier in the 1790’s shows the advancement of lathes in the period, the only difference between today’s lathes is the power source. Both metal and woodworking lathes are depicted. Index heads, slide rests, screw advance and overhead power head that worked in the slide rest, there isn’t much difference between then and now. But I think the real development of lathes was done by Thomas Blanchard when he made his pattern lathe. This is a back action copy lathe. A pattern is placed in the mechanism, the index head activated and a pass is made with the spinning wooden wheel with steel cutters around the edge removes the wood. The wood and pattern are indexed and another pass. This is continued until the work is completed. Developed in 1822 this lathe was originally made for making shoe lasts, tool handles and wagon wheel spokes. But by 1829 it had been adapted in the Springfield Armory to make gun stocks. Not only could it shape the stock but with their developments when the stock came off the lathe it was ready to receive its metal parts. This lead to interchangeable parts which is something the military was interested in doing. It is interesting to see the advancements in woodworking technology during the early nineteenth century and how it effected the trade. This was the Golden Age of Woodworking, the best of both worlds, the beginning of the Industrial Revolution but before the large mass produced factories started to replace shop built furniture. It is for this reason that I decided to study and devote my life to the pursuit of understanding Nineteenth Century Woodworking. And the style of furniture at the time is attractive with its Classical influences. Instead of a rock, I have a fine Gentleman’s hammer, I have replaced the flint saw with a Spears & Jackson and bone awl with a steel brad awl. But there are the throwbacks, I still lash with rawhide on occasion and use hide glue.